I had been taught there was a bit of magic in the giving of jewellery as gifts. I think it was one of my mother's friends who told me that if you make a wish while you tie or place a bracelet or ring on another, that wish will come true when the jewellery naturally falls off. I've always thought that adding a bit of magic to the giving of gifts was such a beautiful way to give a gift and found comfort that the reminder of a loved one and the good wishes they made, sit embracing your wrist, finger or neck daily, giving a lasting sense of sentimentality that mere objects don't always hold. 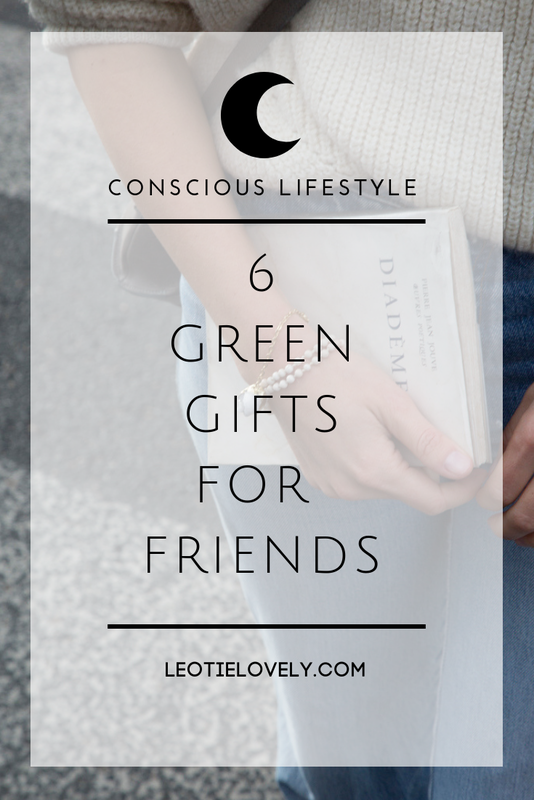 So in the spirit of giving gifts with meaning, made with a circular story in mind which aids in the connection of the circle of love, I've gathered six eco and ethical gifts for friends, suitable for the making of wishes. Eco & Ethical How? So these are rings but I feel like they're a non-tacky, ethically made version of the friendship rings we used to have in our teens where one side said 'best' and the other side said 'friends'. You can still make a wish while you put them on and they'd easily go with whatever jewellery you're wearing to pull of daily. Eco & Ethical How? 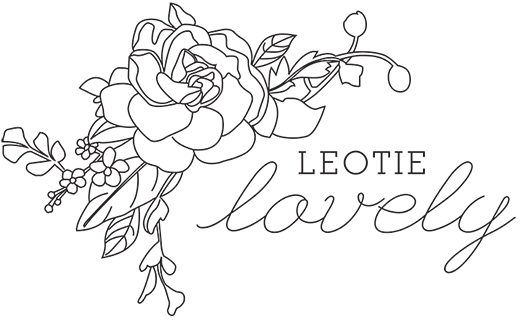 I'm super excited to find this boutique it is absolutely FULL of sustainable, cruelty-free, charity loving, ethically curated collections of bohemian-esque clothing and accessories which will fill the Free People void I've been long looking to fill. This bracelet is by one of the brands they carry called SOKO and is ethically handmade out of recycled brass and upcycled horn. Eco + Ethical How? Two Christmases ago was my first Christmas with my husband’s family and I wasn’t sure if we were exchanging gifts so I bought all the girls bracelets from Shashka (and made the boys friendship bracelets the old-school way). 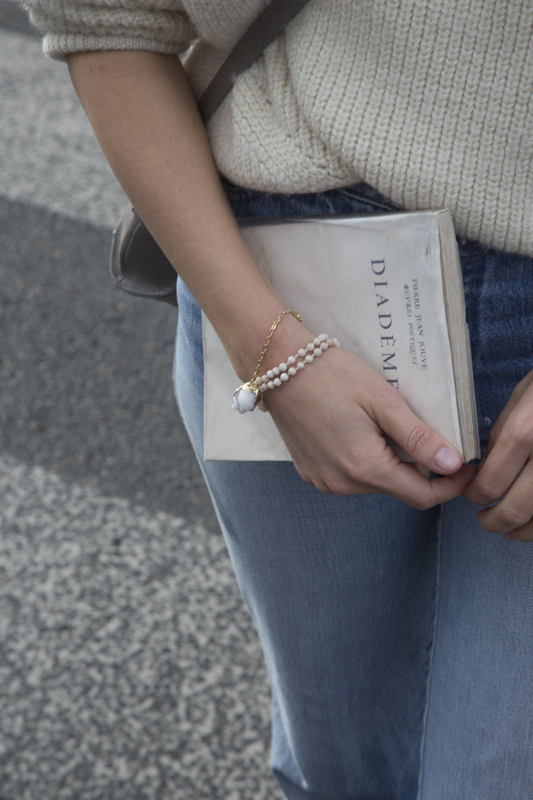 They are beautiful glass beaded bracelets handcrafted by artisans in the Kathmandu Valley of Nepal. Each purchase empowers Nepalese artisans to rise above poverty through fair trade and enables sustainable development and community empowerment by cultivating a more equitable global trade model that benefits farmers, workers, consumers, industry and the earth. Eco + Ethical How? 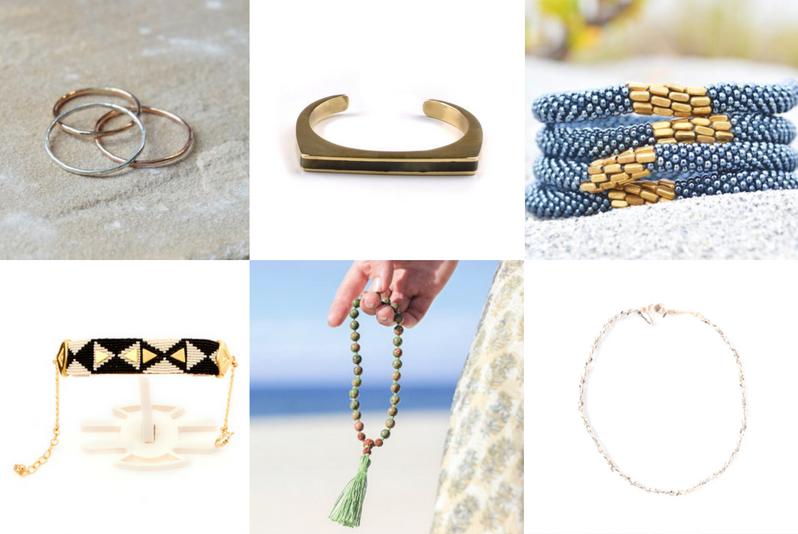 Designed by a husband and wife team, Freebird Design House produces jewellery for a cause, creating bohemian-chic style micro-macrame jewellery and accessories, made ethically in the Udon Thani region of Thailand. Eco + Ethical How? The first Christmas my partner and I spent together I purchased one of these mala bracelets for him from etsy without contacting the artisan in advance. In my checkout message, I asked him if he would be open to adding a few healing stones that I felt would benefit my husfriend. The owner, Jorge, wrote back the most loving and encouraging email I’ve ever received from a human, and we designed the bracelet together. Two years later, we’re still in touch, my partner wore the bracelet every day for two years and the chord had finally stretched out. Jorge offered to replace the chord with a new eco-friendly long lasting material he has since found, for free, just because he’s a kind soul loving soul. This has been, and continues to be the most heartfelt and continuously loving gift I have ever bought or given. On top of just being an amazing human Jorge uses eco-friendly components in his designs and delivers each mala inside an organic hemp drawstring pouch (to raise awareness about hemp’s endless applications). He even mails the purchase in a 100% recycled paper. Eco + Ethical How? I wrote a heartfelt post on this brand a few months back, Threads Worldwide helps weave empowering tales, collecting them consciously from over 50 countries around the world. They empower artisans to bring their gifts and stories to markets beyond their borders, enabling them to earn incomes and the opportunity to become entrepreneurs. They're currently offering a number of beautiful gift sets of their ethically made products perfect for your mama, sister or friend.